Situated only a few kilometres from Florence, San Gimignano and Siena, La Compagnia del Chianti at San Donato in Poggio is the ideal place to spend a cultural and relaxing holiday. Here you can enjoy a simple and healthy lifestyle, while immerging yourself in the splendid natural surroundings. The area is characterised by ancient Chianti villages where you can, not only explore the local countryside, take a wine tasting or local food tour, or visit the major art cities of Tuscany, but also relax at the edge of the swimming pool and enjoy the peace of our luxuriant garden. La Compagnia del Chianti is a small family run Holiday Home complex with 6 spacious and comfortable apartments. They are all finished to a high standard, tastefully furnished and well equipped. The apartments are made with local Tuscan materials (wood, terracotta and pietra serena – a local stone) and all have a private external area with direct access to the swimming pool and equipped communal garden. Located on a crest of a hill, on the one side La Compagnia del Chianti faces the rolling hills of Chianti Classico, covered with vineyards, olive groves and dense woodland, while on the other it joins the Medieval village of San Donato in Poggio, that from spring to autumn is full of life, with its many festivals, concerts, artistic events and markets. At only a few steps from La Compagnia del Chianti you can find coffee bars, deli, Coop supermarket, butcher shop, pharmacy, ATM, post office, laundromat, restaurants, pizzerias and other shops. La Compagnia del Chianti is the perfect place for your Holidays as it is within easy reach of all the main tourist destinations in Tuscany! 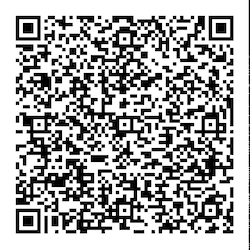 Download a QR Code Reader for Android, iPhone or Blackberry.